Our approach to couples work varies depending upon what the couple is having trouble with and what approach best matches their needs. We approach every couple as unique, requiring a specifically unique approach in counseling. However, there are some approaches that most couples commonly learn a lot from. First, is to identify the difficulty. Second, is to learn methods to deal with conflict. We always discuss how to deal with conflict in a respectful manner. 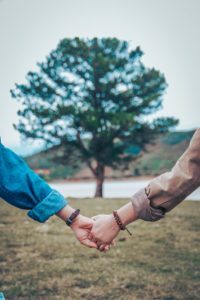 Seeing a deeper connection between the conflicts and unresolved pain from your history will also be an important method of healing in couples counseling sessions. Most all couples have a fear that a counselor will take sides during couple’s sessions. We always take sides, both sides! Any given session might focus on one partner or the other’s presenting issue. Learning to not judge the person for having issues and instead working to heal is always a part of couples counseling. Couples counseling offers a deeper, more intense type of therapy than individual work because couples counseling will bring issues to the forefront whether the individuals are ready to deal with them or not. Because of this, relationships where domestic abuse is occurring may not be appropriate for couples counseling. When there is no domestic abuse, couples work does help relationships in conflict. However, couples work does not make relationship conflict better immediately. It brings things up that need to be dealt with. Because of this we always advise couples to consider making a commitment to the process of healing that couples work offers. In other words, stay in the process until it starts to get better. Couples work can and does make relationships better if the couple sticks with and tries the methods taught. Relationship counseling also offers a powerful method of healing for individual issues. Often a goal of couples counseling is to move from seeing your partner as the problem, to seeing them as an ally to your healing. Whether you are coming to couples counseling to fine tune your relationship, save your relationship, or end it respectfully, couples counseling can and will help you heal the unresolved relationship issues in your life.